Learn to Fly in New Jersey at Monmouth Airport! Everyone knows that with a pilot’s license you can start your career as a private or commercial pilot – but here are 5 more unusual jobs for those considering a more non-traditional career path, from the Monmouth Executive Airport flight school in NJ. Test pilot: If you have nerves of steel and want to be at the forefront of aviation technology, then this could be the job for you. You’ll have to push aircraft to their very limits to ensure that they are as safe as possible for passengers and crew – flying in the toughest weather conditions, shutting down and re-firing engines in mid-flight, and seeing how well they can cope with sophisticated new control systems. Crop-dusting: Known in the industry as ag-pilots (agricultural pilots) or aerial applicators, these pilots are in high-demand for the vital service they provide. Their fast, efficient method of spraying crops with fertilizers and pest control agents is crucial to commercial farming, keeping produce affordable. It’s not a job without risks either, as pilots have to fly incredibly low and avoid telephone poles, fences, powerlines and trees. Bush pilot: Do you love the great outdoors? Bush pilots certainly do – flying to some of the most remote areas of the world with little operational support. For this job, you need to be self-reliant, resourceful and have great flying and mechanical skills. The kinds of jobs they do is varied and often focused on carrying supplies, from supporting charitable and missionary work to helping nature conservationists. Rescue pilot: Search and rescue pilots are highly skilled, courageous and have a strong drive to help others. They work in rough conditions in challenging environments, assisting teams in spotting those who need assistance and performing a vital role in the rescue operation itself. Fire fighter pilot: Firefighter pilots work in dangerous conditions filled with smoke and heat helping to put out wildfires that threaten natural environments, homes, infrastructure and lives. Fixed-wing and rotor-wing aircraft are in use here, flying at low-level to dump fire retardant chemicals and water onto the flames. They also help bring in firefighting teams to difficult-to-reach sites and deliver supplies. Realize your dream career as a CFI, amateur pilot, private or commercial airliner pilot at Monmouth Airport’s flight school in NJ. We have our own FAA certified A&P/IA on premises and our location outside of the crowded New York area airspace designations means that you get to experience clear, uncrowded skies as you learn to fly NJ. Our classes and lessons are led by experienced and fully certified flight instructor dedicated to helping you achieve your dream. For kids interested in finding out what careers and opportunities are available in the industry, we offer the Monmouth Executive Airport Young Aviators Club. Open to kids aged 8-17 and offering a free flying lesson, this is a fun and informative way of exploring the world of airplanes! 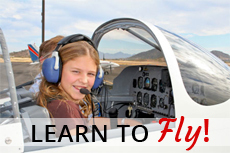 For more information about flying lessons NJ and how to learn to fly, please visit our website at http://monmouthjetcenter.com/ or contact us today.